Mathematicians use theoretical and computational methods to solve a wide range of problems from the most abstract to the very applied. UBC's mathematics graduate students work in many branches of pure and applied mathematics. The PhD program trains students to operate as research mathematicians. The focus of the program is on substantial mathematical research leading to the PhD dissertation. Students also develop their skills in presenting and teaching mathematics and its applications. UBC has one of the largest and most vigorous departments of mathematics in Canada. Our faculty routinely win national and international awards for their research and teaching achievements. 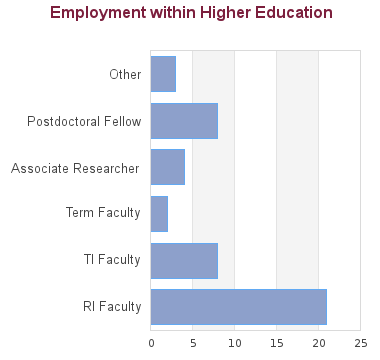 We have an engaged and sociable cohort of graduate students who are essential members of a broad selection of active research groups. Each group holds a variety of seminars and events that allow graduate students, postdoctoral fellows, visitors and faculty to enjoy regular interaction. UBC is the headquarters for the Pacific Institute of Mathematical Sciences (PIMS). PIMS hosts a plethora of mathematical events such as conferences and summer schools, greatly enriching the scientific environment in the quantitative sciences at UBC. Our mathematics students are also regular participants at the nearby Banff International Research Station for Mathematical Innovation and Discovery. Finally, our Institute for Applied Mathematics provides options for interdisciplinary studies for PhD students who wish to work in applied and computational mathematics. All full-time students who begin a UBC-Vancouver PhD Mathematics program in September 2018 or later will be provided with a funding package of at least $24,256 for each of the first four years of their PhD. The funding package may consist of any combination of internal or external awards, teaching-related work, research assistantships, and graduate academic assistantships. A great majority of our PhD graduates move on to postdoctoral fellowships and faculty positions at universities and research institutes in North America and around the world. 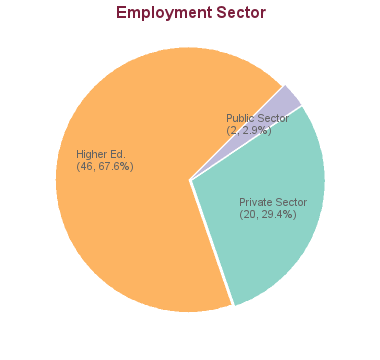 However, a significant fraction of students move into careers in industry. Students considering non-academic careers are encouraged to complete an industrial internship (for instance through the Mitacs Accelerate program - headquartered at UBC) during their studies. This program has a graduation rate of 78.18% based on 55 students admitted between 2005 - 2008. Based on 48 graduations between 2014 - 2017 the minimum time to completion is 1.99 years and the maximum time is 7.66 years with an average of 4.65 years of study. All calculations exclude leave times.